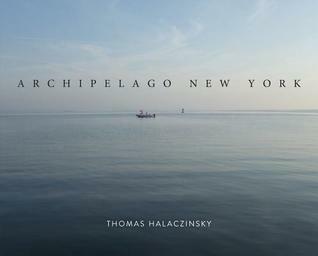 Thomas Halaczinsky first arrived in Manhattan New York in 1990 from Europe. Shocked that most of the people around him did not know or care about the beauty surrounding them. He wanted to connect with his surroundings and decided to explore the Island as others did not. In 2012 he was finally able to own a sail boat. He chose to chart a route almost identical to Adriaen Block who first sailed up the East River into Long Island in 1614. The more Thomas sailed the more he decided he was not only just discovering his surroundings but he was on his own inner journey and quest of discovery for who he was and where he fit in. Instead of driving to most of the places he wanted to see and discover he took his sail boat. Most of the time it was just him his camera, and the open water. Sometimes he took a friend. This book takes you on his journey. He tells about his feelings, how he sailed, where he went, and what he saw. Not only on the way but when he arrived at each point. The pictures are phenomenal. One of my favorite is page 22. You see the water off the side of the sailboat, there is an island with trees across from the water, then across from the water the coming out of the fog are the huge buildings of Manhattan, it truly is a stunning photo. The book is filled with photo's, maps, history, and Thomas's own personal insight of what he saw. If you are from New York or just love learning about different places this book is a real treat. I am personally an armchair tourist. I would love to go visit places in person and I do get to go many places with my wonderful husband but some places I know I will never go in person. This book in a way gives you the feeling of having visited without leaving home.